Recently, four individuals were arrested for trafficking crack cocaine and heroin in Biddeford, Maine. The arrests came after the MDEA (Maine Drug Enforcement Agency) conducted an investigation into the illegal distribution of these schedule drugs over several months, and found the suspects were conducting business from a Hazel Street apartment. Two of the individuals trafficking drugs from the apartment are from New York, 20-year-old Raymond Naveo and 20-year-old Celina Rodriguez. The other two suspects live reside in Biddeford, and include 33-year-old Corey Harmon and 33-year-old Niaomi Butts. According to a news article at WCSH 6, undercover agents bought crack cocaine from Harmon and Naveo on various occasions during the investigation. It was also determined that Naveo and Butts traveled to New York to purchase additional drugs for distributing in Biddeford. Naveo, Butts, and Rodriguez were arrested when state police stopped the vehicle driven by Butts, who was arrested for operating a motor vehicle after suspension. Rodriguez was found to be in possession of heroin, and Naveo was arrested as well. Meanwhile at the Biddeford apartment, Harmon was arrested after agents found him inside and searched the apartment, where they found four grams of heroin and other items that indicated drug trafficking was taking place. Authorities were alerted that Butts was concealing illegal drugs within a body cavity at the time she was pulled over for operating after suspension; she was taken to a nearby health care facility where about 38 grams of crack cocaine was seized. Distributing Schedule I or II drugs is one of the most serious drug crimes a person can be charged with. Lawmakers are tough in their efforts to crack down on those who traffic illegal substances such as heroin and cocaine. Penalties become harsher for those convicted, and may include hundreds of thousands of dollars in fines, decades or even life in prison, and more. In Michigan and many other states, the punishment an individual will face if found guilty of drug trafficking will depend on the type and amount of substance involved, prior drug convictions or criminal history, and other factors. However, even a first offense can leave a person facing life-changing consequences, as possession of heroin with the intent to distribute or sell that heroin will result in up to 20 years in prison along with fines of as much as $25,000 for amounts of less than 50 grams. 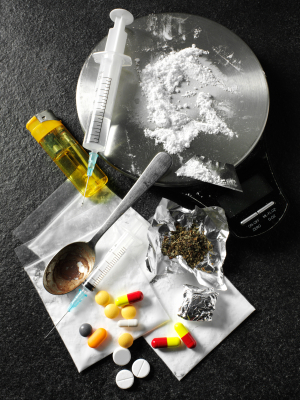 When facing drug charges, it is imperative to consult with a highly skilled Michigan drug crimes attorney who can help determine your legal options, protect your rights, and work to develop a solid defense in order to keep you out of prison or reduce jail time when possible.